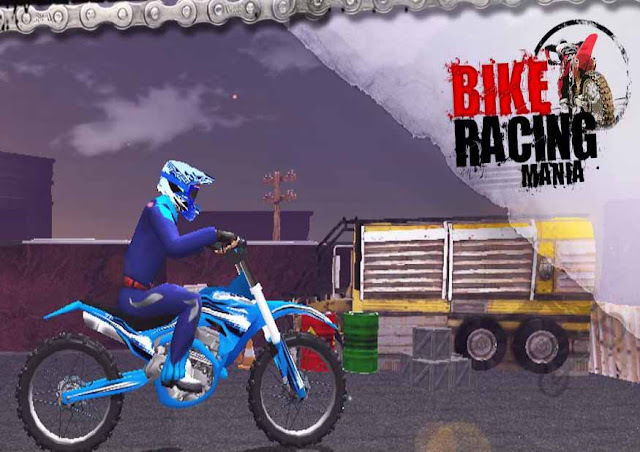 Bike Racing Mania - is all about bike balance, skill and control as you guide your rider across the ramps, jumps, barrels and obstacles. 30 levels, high end graphics, realistic physics engine that tests your abilities and control. Negotiate hundreds of obstacles including ramps, jumbo tires, rocks, planks and more in this exciting racing games. It is an extreme test of skills, over all kinds of obstacles, both natural and man-made. Try bike racing through a world of adventure and crazy characters. Go crazy with the combinations, it’s your ride - your rules. If you like stunt games then you will love this one to. - User friendly GUI and controls fit for a stunt games. - Different amazing heavy sports upgrades and offroad Bikes. Bike Racing Mania: install APK and play the game.